The IUCN is developing three Green Lists focusing on Protected and Conserved Areas, Species, and Ecosystems. The lists came about in response to a 2012 IUCN Resolution passed at the World Conservation Congress in Jeju, South Korea. Additionally, the IUCN Green List of Protected Areas will allow Protected Area participating countries to recognize and report on the quality of progress in the implementation of their national protected area systems towards meeting CBD Aichi Target 11 commitments: By 2020, at least 17 percent of terrestrial and inland water, and 10 percent of coastal and marine areas, especially areas of particular importance for biodiversity and ecosystem services, are conserved through effectively and equitably managed, ecologically representative and well connected systems of protected areas and other effective area-based conservation measures, and integrated into the wider landscapes and seascapes. The goal is to maintain or restore functional populations. The functions that different species perform in the ecosystem are many and varied, so the function of each species must be assessed on a case-by-case basis. One straightforward example is the function of wiregrass (Aristida stricta) in acting as tinder and allowing naturally-occurring and ecologically necessary savanna fires to spread. For a wiregrass population to be functional, it would have to be present in a high enough density to allow fire to spread from plant to plant. 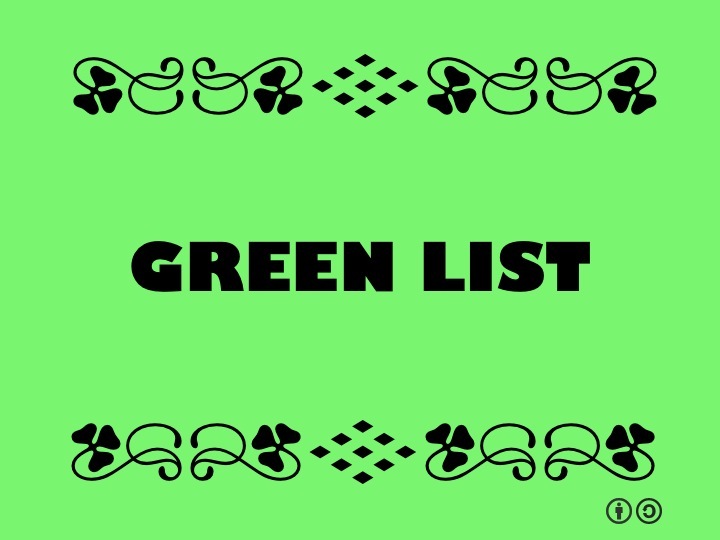 Besides email, what are the best ways to stay informed to the development of the green lists? Are there public conversations about the green lists and their applications to conservation? How are the Green Lists funded and maintained? What is the status of public consultation? Are any of the Green List papers and resources available via Open Access and Open Educational Resources? Is information about the Green List of Ecosystems available online? The IUCN already operates a Red List (http://www.iucnredlist.org) of endangered species widely recognized as the most comprehensive, objective global approach for evaluating the conservation status of plant and animal species. IUCN also operates the globally recognized IUCN Protected Area Management Categories which aims to strengthen the capacity to conserve the world’s natural environment and biodiversity; and IUCN is the technical body to assess and advise on Natural Sites under the World Heritage Convention.